?TWO INTERCHANGEABLE CHAIN? 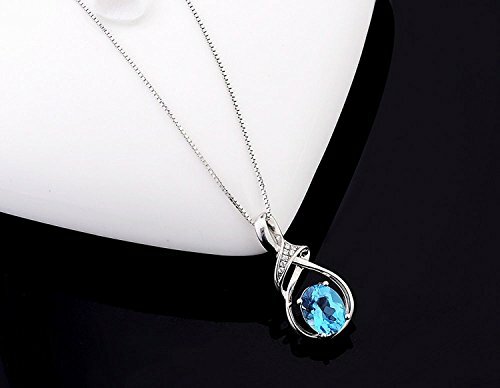 - The short necklace: a 16-inch sterling silver chain. 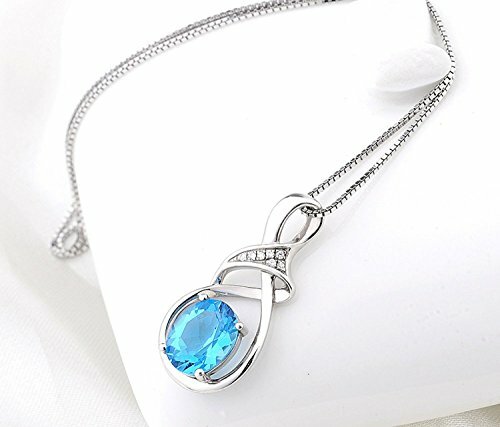 The long necklace: a 18-inch sterling silver chain. ?ELABORATE DESIGN? - Very noble and fashionable. Blue charm.Simple but personalized necklace. Strikingly twinkling surprise! Like a blue heart in a blue ocean. Filled with love. ?PERFECT GIFT? 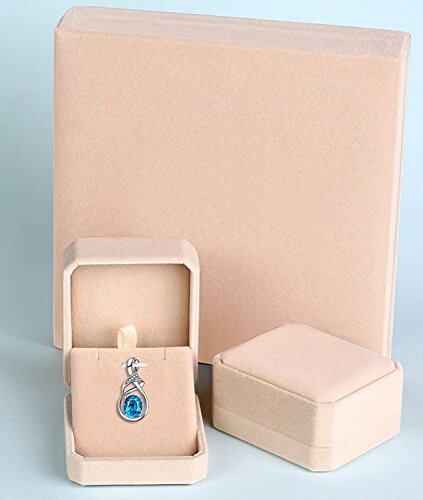 - Comes in a very beautiful fine jewelry gift box. 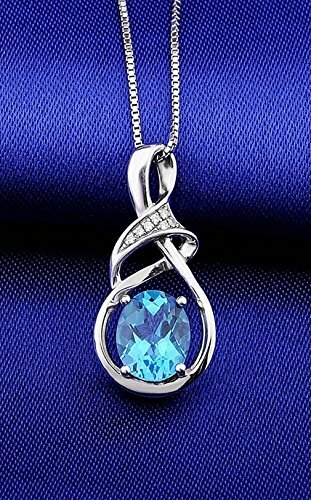 Ideal gifts for Valentine's Day, Mother's Day, Anniversary, wedding,Thanksgiving, Christmas, New Year, Birthday, graduation season and party to your girlfriend, lover, women friends,wife, mom, sister, aunt, niece, daughter and yourselves, gifts for her. ??HIGH-QUALITY? - The mental of chain and pendant: 925 Sterling Silver (plated with 18K white gold). 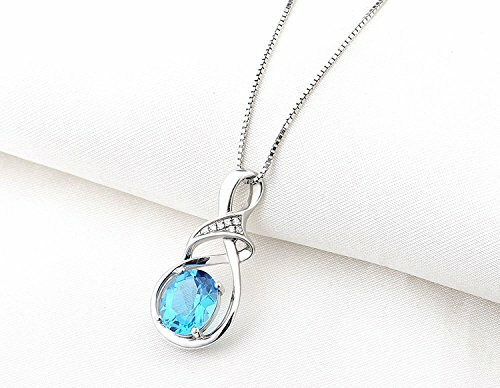 Big Pendant and each chain is affixed with the highest quality sterling sliver "S925". GEM stone is a natural topaz (8*10mm) embellished with some small Synthetic cubic zirconia. 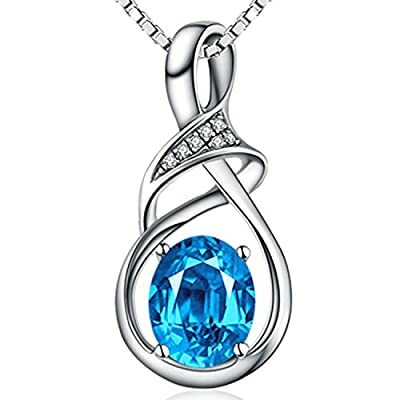 Gemstone topaz: high quality. ? ?60 DAY MONEY BACK GUARANTEE? - To guarantee your complete and total satisfaction, we offer our customers a 60-Day return policy. Please feel free to contact our customer service anytime if you feel unsatisfied or confused. ? ?THE FINEST IN GEMSTONE SELECTION? - Hand picked for its luster, quality, color, and clean. Compared with its entity, the image may show slight differences in texture, color, size and shape.